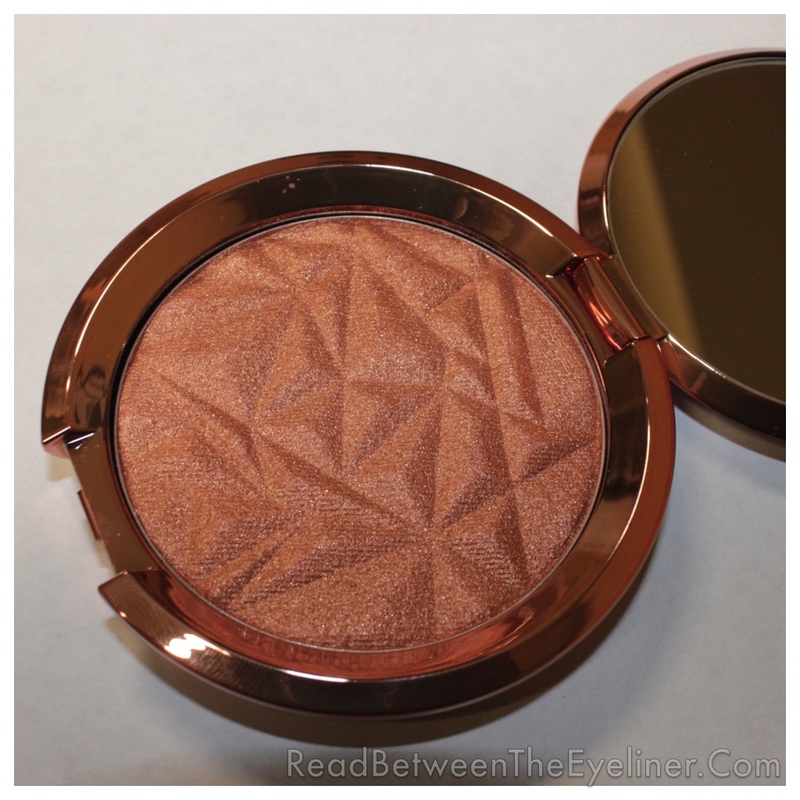 Yet another BECCA review today! I was so excited when I heard that BECCA was coming out with a cream version of their best-selling Shimmering Skin Perfectors (SSP). I already have topaz in their pressed version and I often mix the liquid version of their SSP with my foundation for some extra glow. So when the “poured” (cream) version of the SSP came out, I snapped up topaz without a thought. 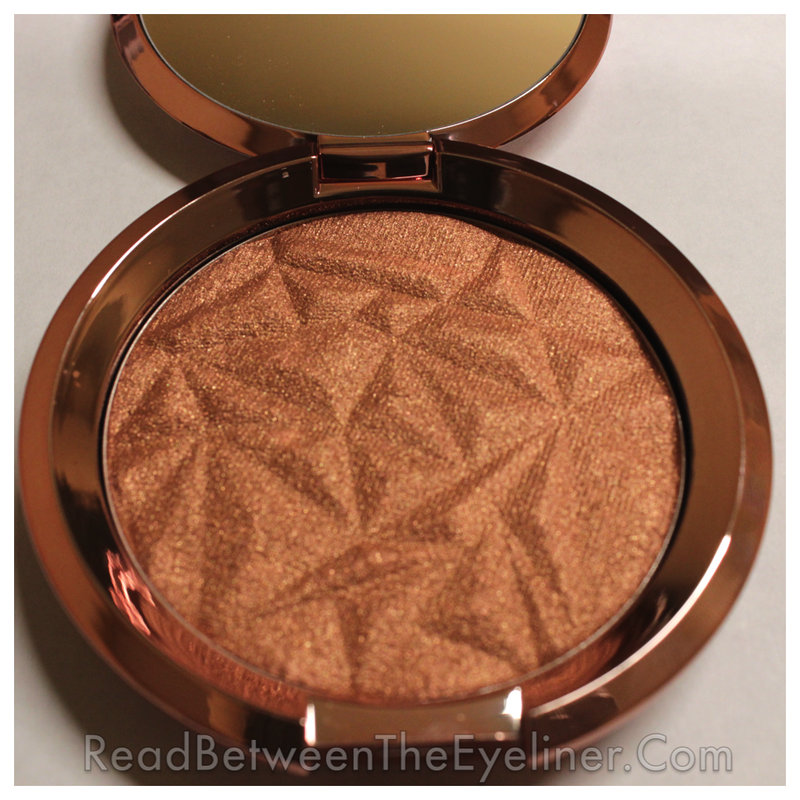 However, I have to say that the “poured” version of topaz is the first BECCA product I’ve been disappointed in. I expected the poured topaz to be much more pigmented on my skin than it actually is- a cream version of the pressed topaz if you will. However, this is far more in line with the liquid version of their SSP as in it’s very sheer. This will be perfect for somebody who just wants a light and subtle highlight but that’s not what I’m looking for at $38. Highlighters are my favourite face products and I looooooove me a blinging glow. This just didn’t deliver for me personally. On to the product itself: poured topaz comes in smaller packaging than the pressed SSP and it’s the same size as BECCA’s blushes. The colour in the pan initially looks very dark but it’s the same colour as the other versions of topaz when swatched. The cream is neither too wet or too dry and it blends very easily. It looks beautiful before blending but disappointment quickly sets in when you do so. I took some comparison shots of topaz poured and topaz pressed and there’s just no contest. The pressed version just melts into the skin and blends beautifully. 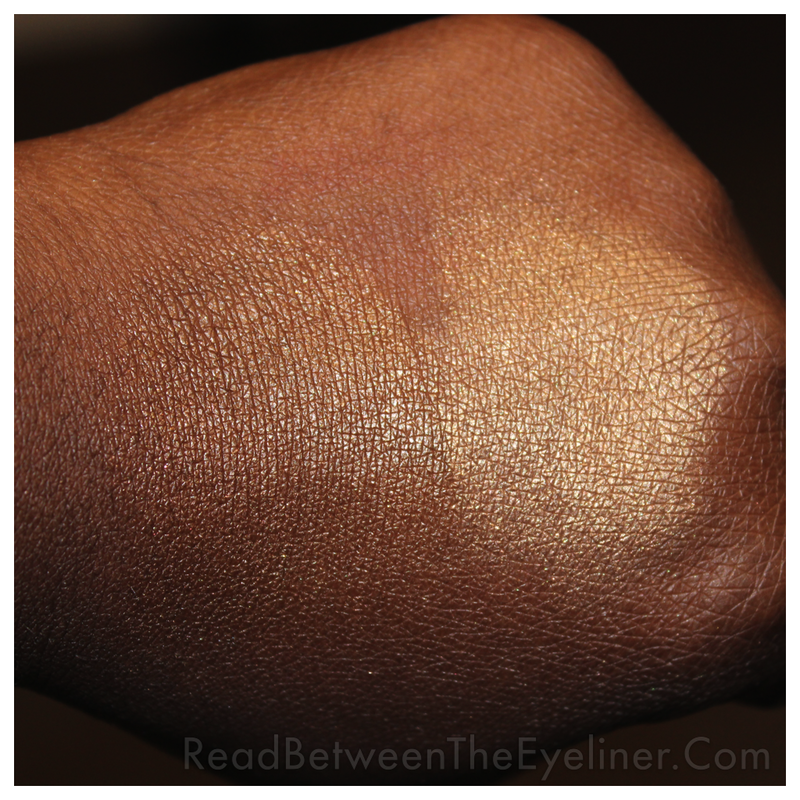 A little bit goes a long way and it just gives the most gorgeous golden glow. It’s my all-time favourite highlighter and I wear it almost every day. The dark gold colour looks stunning on dark skin and I don’t have a single criticism about this product (wish it was cheaper though!). 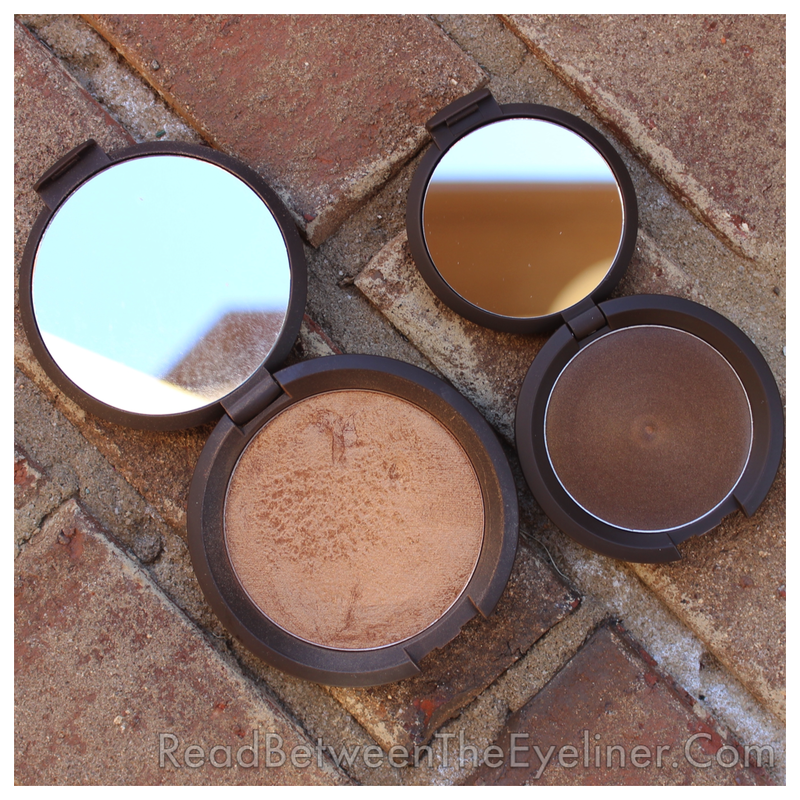 BECCA shimmering skin perfector in topaz- pressed and poured. So if you’re looking to nab yourself one of BECCA’s highlighter, I’d highly recommend any of the pressed versions. They come in 6 different shades and there’s one to suit every skin tone. If you’re looking for a cream highlight however, I’d give these a miss and check out the offerings from Cover FX or Benefit instead. The BECCA shimmering perfectors can be found at Ulta or Sephora (poured is exclusive to Sephora) for $38. 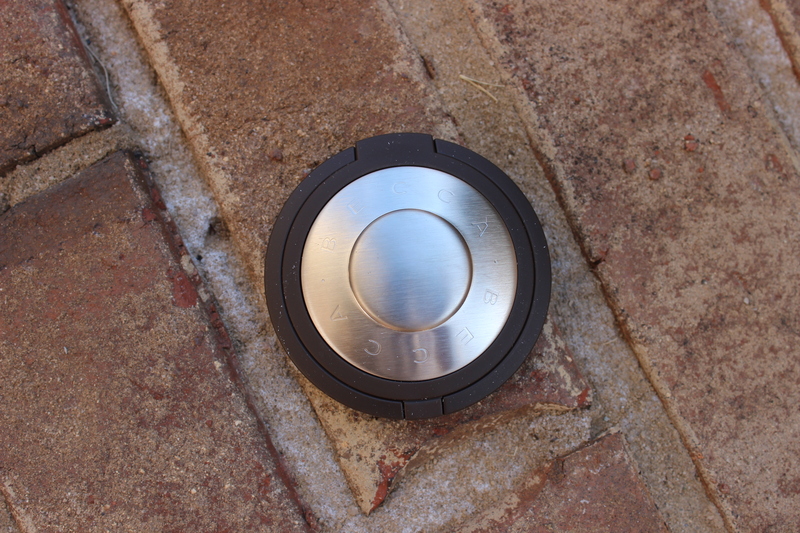 It’s pricy, but the pressed is worth every single penny and it will last you forever. Has a trusted brand ever failed you? Let me know in the comments! “Man is the only animal that blushes. Or needs to.” – Mark Twain BECCA have added another fantastic addition to their wonderful line of pressed shimmering skin perfectors (SSP). 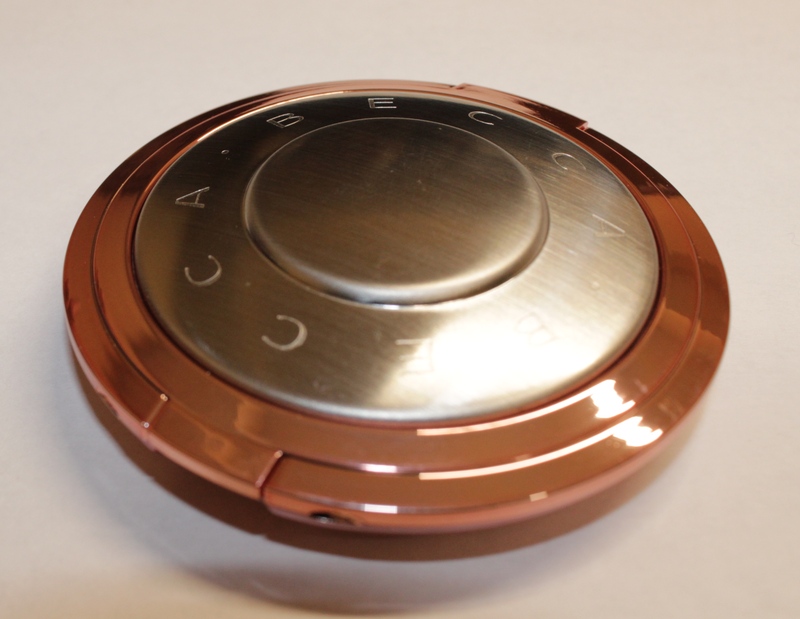 The newest, limited-edition shade is Blushed Copper and it’s everything I’ve come to expect from BECCA. 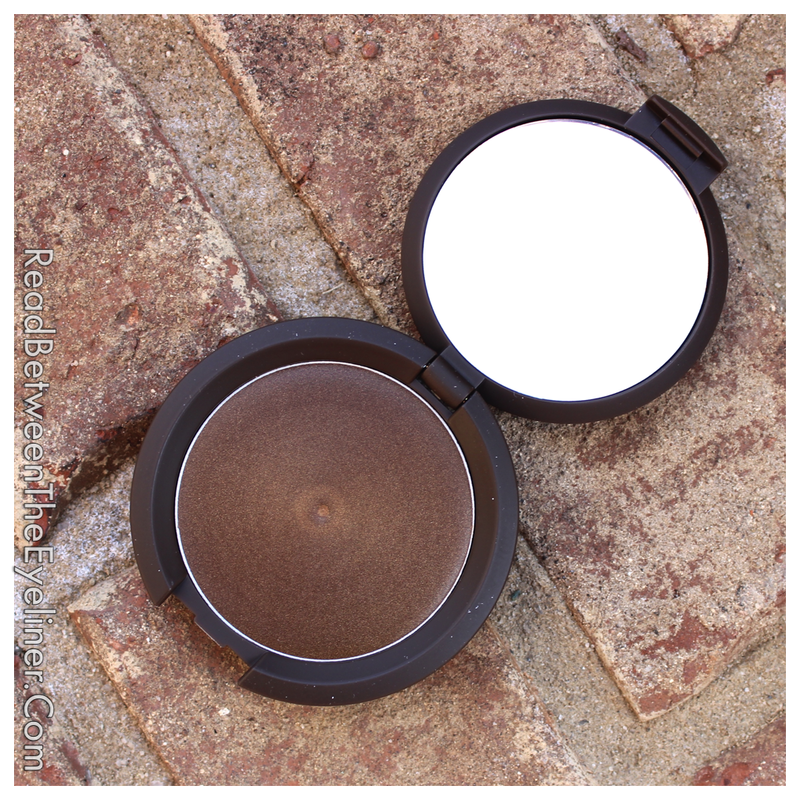 I can’t believe that this is my first blog post on a BECCA product since they’re one of my favourite brands and this is my second pressed highlighter from them after my all-time favourite “Topaz”. Blushed Copper is embossed with the same pattern as their “Rose Gold” pressed SSP and I hope that this will become part of their permanent line as Rose Gold eventually did. It’s the same size as all the other BECCA pressed SSP however, the packaging is a silver and copper rather than BECCA’s usual silver and brown. 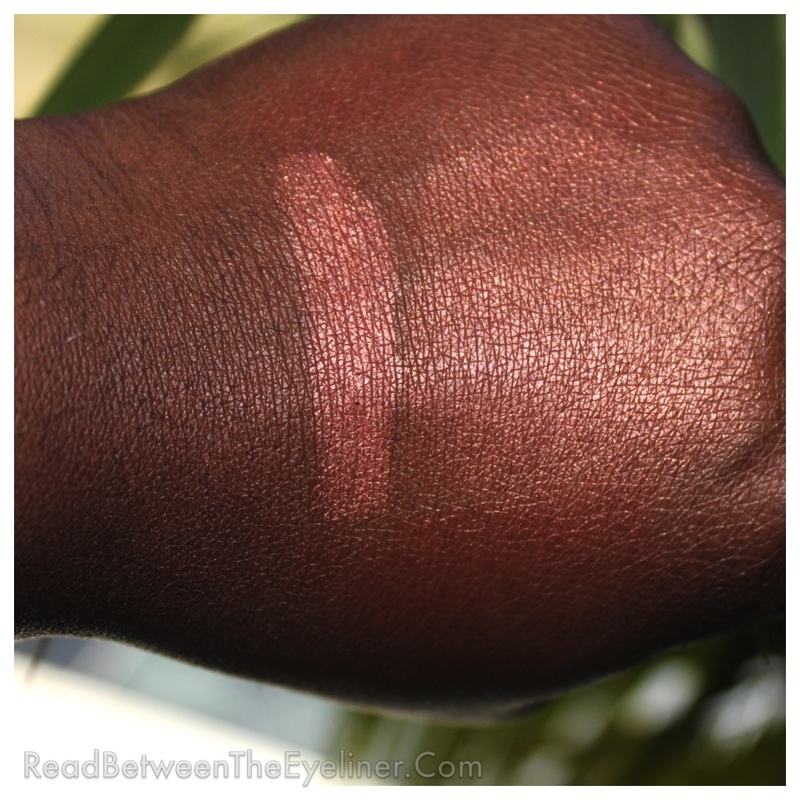 The colour of Blushed Copper actually pulls a true rose gold on my dark skin and it’s a shade that I think will work better for women with darker-toned skin. 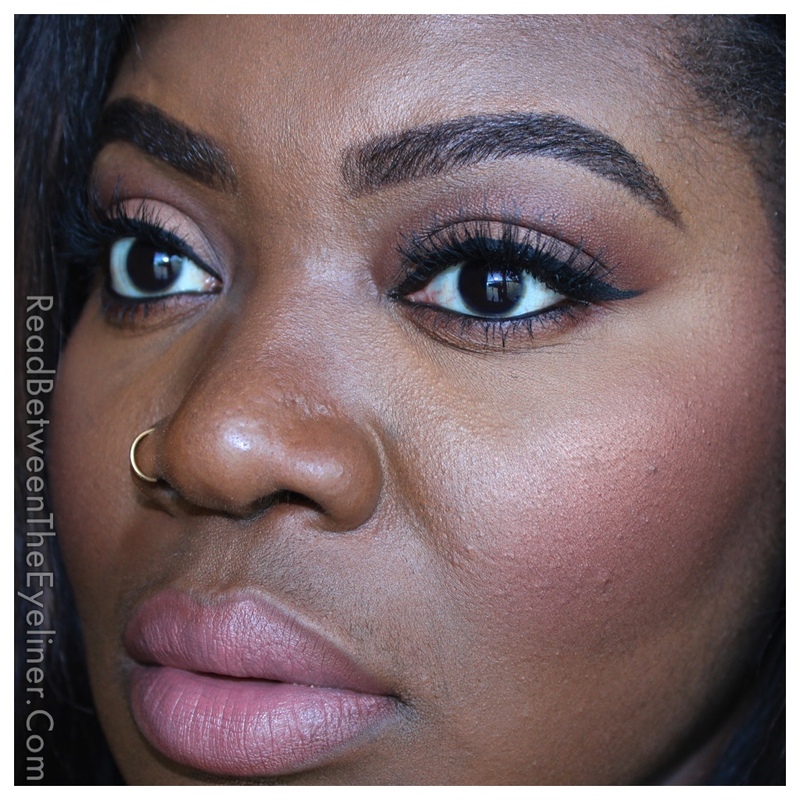 It straddles the line between a highlighter and a blush and it can easily be worn as both. It looks great by itself or lightly dusted on top of a similar-toned blush. Indoor swatch swiped once and blended out. Pictures really don’t do this product justice as it’s beautifully shimmery in real life. I’ve never seen a highlighter like this as it has true pinkish gold shimmer as opposed to the gold or silver found in other highlighters. 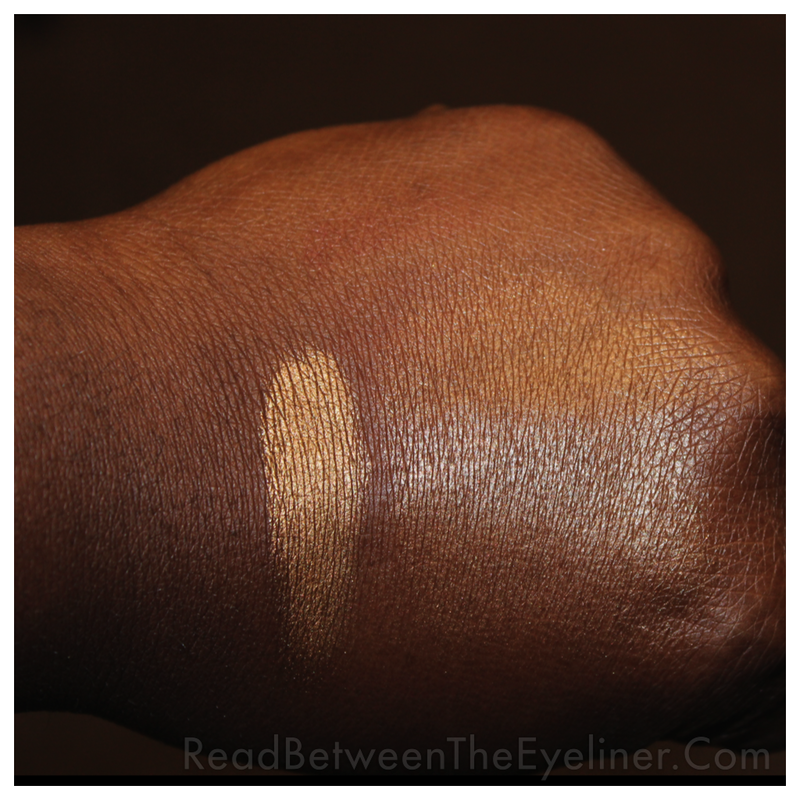 The texture is ridiculously buttery and it almost feels like a cream rather than a powder. A tiny amount is all that’s needed for a gorgeous Summer glow and I received so many compliments when I wore this. I love the colour so much that I plan on trying this out as an eyeshadow in the future too. This is a definite must-have in my opinion. 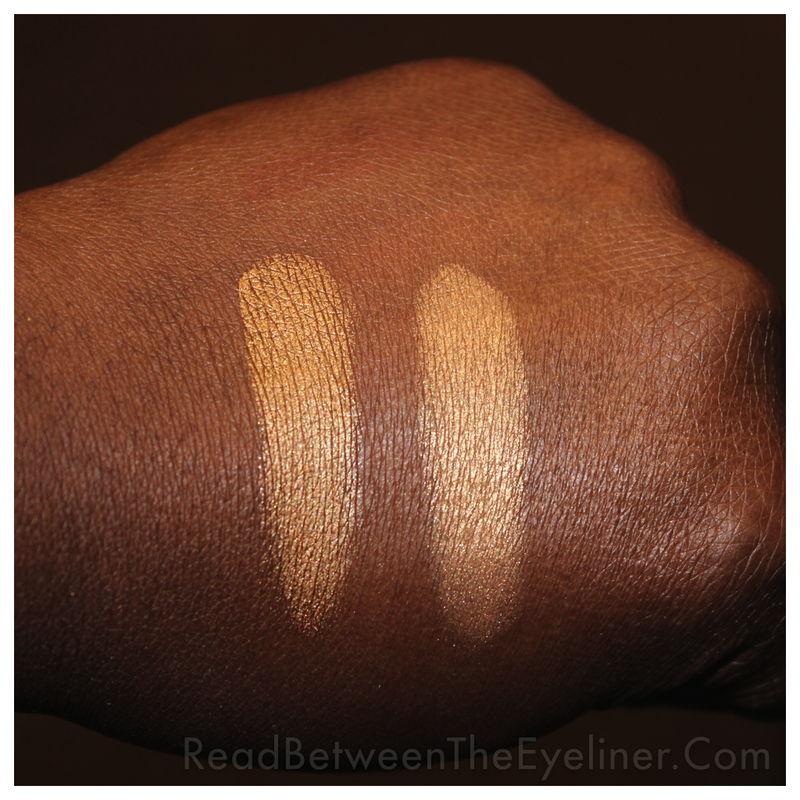 More so if you have darker skin and are a fan of highlighters. It’s not a colour I would wear everyday but I know I’ll be rocking it every time I rock any look in the pink/ rose family. It’s a truly stunning shade and let’s all keep our fingers crossed that BECCA make this permanent. BECCA’s “Blushed Copper” shimmering skin perfector pressed is limited edition and is sadly not available in stores but it can be found online at Sephora for $38. Are you guys as obsessed with BECCA as I am? Let me know in the comments!